The wrath of Raz'nak has finally ended, leaving him without a body. The day finally comes to a close as Olm and Dalji's efforts to find the Black Dusk come up fruitless. Now a mysterious new figure known as Cameron is roaming the city in an effort to find the dark secret of the Galath Clock Tower and its hypnotic hold on the city's inhabitants. Only two days remain until the semifinals of the Galath Arena commence. Can Raz'nak put himself together? Will Jeistan learn to fortify his body against magic? Or will the Black Dusk crash the party again? The morning after always brings new perspective. Rejuvenated by sleep, our heroes find coping just a little less difficult. Magnus bonds with Dani by helping her with her fearful Absol, Abby. After a quick battle against Magnus's Rhyhorn, Tank, the young timid Absol had newfound confidence. With Jeffrey's arm in stitches, the group left the hospital and boarded a cruise ferry to take them to Cinnabar Island. Magnus battled a young boy and his first Pokemon, which brought him back to his own beginnings as a trainer, and Brandon got badly sunburned during the six-hour boat ride. The group arrived just before sunset on Cinnabar Island, and spent the night in a Pokemon Center. Now, the group prepares for a hike up the Cinnabar Volcano, where Magnus hopes to find a Fire Stone, Brandon a Torkoal, and Alan hopes to be able to fully trust his new traveling companions. After an ordeal with Eryn's father, a pureblood werewolf, the group makes it into the weapons cache. It was an underground warehouse stocked full of anti-Mythos weaponry, and they had to destroy it. They set a 20 minute timer on their explosive just before they were attacked. Tranquilizers assaulted Wesley and Eryn, quickly knocking them out. Anthony and Rolf were not so easily beaten, finishing off the entire assault by themselves but finding Wes and Eryn missing already. "We have to leave them." Anthony said, heading out of the store room. Upon stepping into the hallway, he was hit with an arrow. It sputtered black smoke and brought him to the ground. A squad of red hooded soldiers armed with swords and bows attacked, incapacitating Rolf. Wes, Rolf, and Eryn were collected and imprisoned; Anthony left for dead. One of the archers finds the detonator and removes it just before it sets off a tower destroying explosion. The Guardians of Light along with the Dweller-on-the-Horizon defeated the Queen-of-the-Stars, a powerful and deadly Star Spawn creature. After entering the Necropolis at Azor and defeating waves of Tallows, Obsidian Skeletons and Mooncalves The Queen was defeated at the Necropolis torn down. Now, though, things have changed. The Guardians are in Scotland, helping a feared enemy. The Vampire House of Crellyx. Eliza has given birth to two healthy fraternal twins, Stella and Axel Drake. While they were away with the Vampires fighting Kelpies and the Black Annis back at home things have gone downhill. The Sa'Kahan, the long-prophesized reincarnation of Kushiel the Betrayer has come. Named Syliska Illych Arcanum he has laid wase to the Guardians Sanctuary and forced those surviving to flee on their Zeppelin, the Wind and Sail, to the Guardians in Scotland. Now the Guardians must go to the lair of the Black Annis, Black Annis Bower Close, and deal with the creature and secure the last piece of the Mantle of Avalon. Lost in the Void is proud to present a new Dark RP. One of betrayal, Revolution and Corruption, the darkest acts of humanity will be seen. There is nothing that is what it appears as all battles are not fought on the battle field. A team put up by the mysterious group, the Shiangas will prove to be a powerful force in the anarchy to follow. Observe the new RP innovation Interactive Choice [IC]. 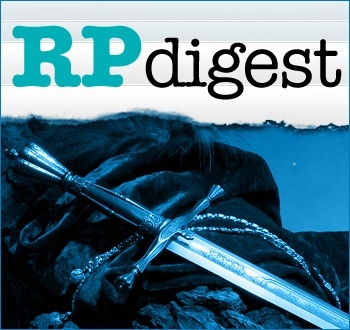 This new feature creates the RP around the players major decisions much like an actual RPG. Not every choice ends in a happy ending. Take a look at the Up and coming RP Revolution and Corruption: Book One: The Rethern Revolution. The Codex of lore for this RP can be found here. It will be updated regularly. Hope you enjoy reading, and more slots will always open, there's a whole world to explore and there is always a conflict somewhere, and Fate has a tendency to link those who have the power to correct it.